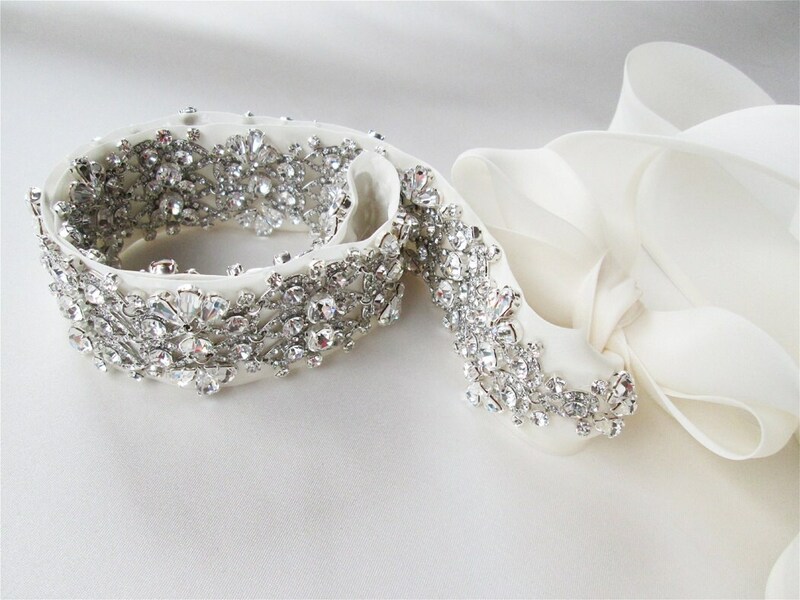 Countless sparkly crystals adorn this exquisite sash hand made out of soft silk organza. 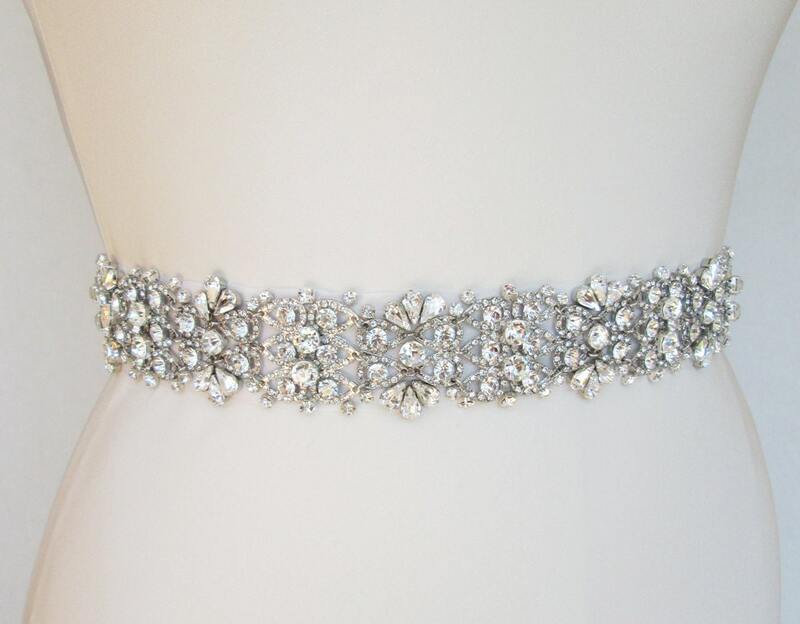 This sash measures 130" long and 1 3/4" wide. 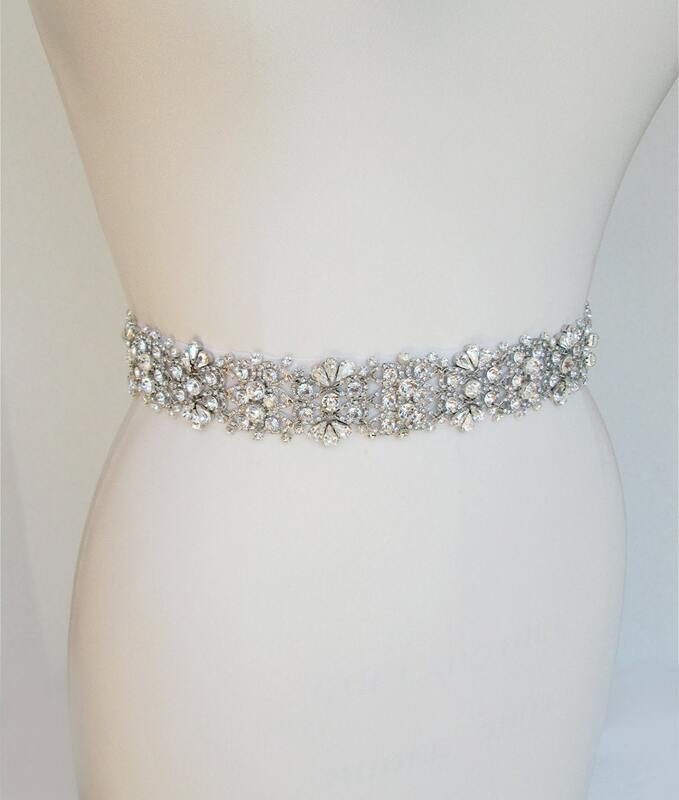 The crystal part of the belt measures 26 1/2" long and 1 3/4" wide. 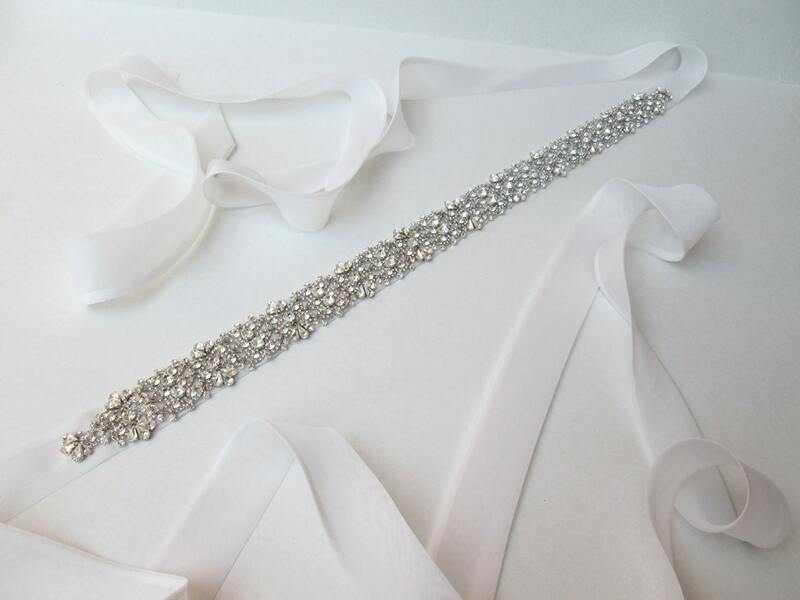 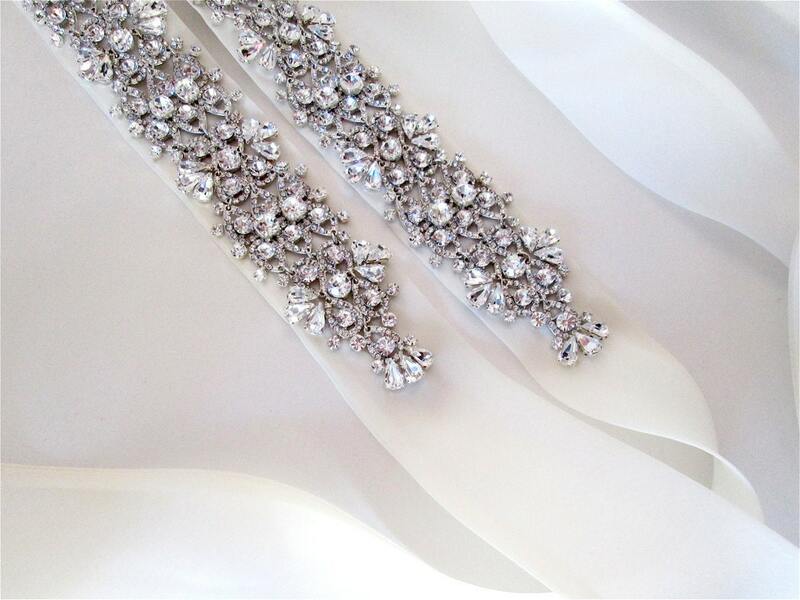 *The crystal beading can be made in any length, please enquire about the price.